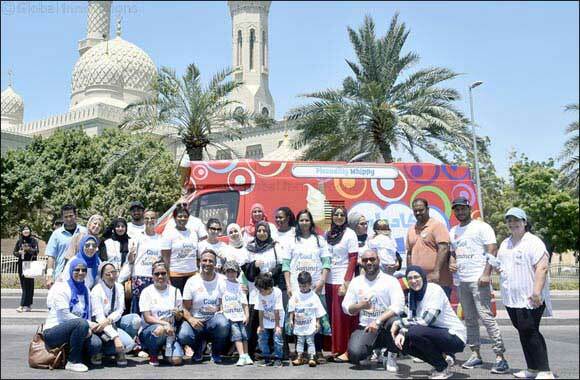 Dubai, UAE, August 06, 2018: Pure Health, the leading healthcare technology solutions provider in the UAE, has partnered with ‘Draw a Smile’ social support volunteering organization, for a two-month initiative titled ‘Cool their Summer’. This initiative is being conducted in association with the UAE Food Bank. The campaign will see the ‘Draw a Smile’ volunteers distributing cold drinking water bottles to people helping them beat the heat during this summer across the UAE. “At Pure Health, we have been working on various initiatives in the past that were aimed towards bringing about a positive change in the community as part of our corporate social responsibility program. We will continue to work with more support groups and nonprofit organizations across the UAE, with the conviction that such programmes will pave way for a societal change at large,” he added. “A minimum of 10,000 bottles of drinking water will be distributed during campaign. Additionally, the UAE Food Bank will supply juice bottles along with the water during the initiative. Not just in the UAE but around the world, the heat has been extreme this year in many countries and we want this small gesture to spread all over the world,” he added.